Discuss one of the biggest Mario fangame projects in this topic! Updates and other information will be posted here! Seems like everyone is just posting their booth topics, and no one is discussing the actual booths, lol. -Being able to play as different characters with different abilities, Wario's Dash, is definitely a nice touch. -There looks to be a lot of innovations, like the vehicles you mentioned, which is great. It breaks away from commonality in platforming. I'll have to play it to have better insight, like how the basic physics feel. But yeah, I like what I see. Very nice! I love the friendly helper you added. The game seems like it could be more original. However, it looks extremely polished! (11-12-2012 06:04 PM)Morrad Wrote: Very nice! I love the friendly helper you added. The game seems like it could be more original. However, it looks extremely polished! I have to question how far you've gotten in such a short amount of time to where you'd be able to judge how "original" the game is as a whole (of course, the first world is more or less based on the traditional 1st world in mario games so I guess it's to be expected). Either way we have a lot of neat things planned, like some interesting world/level themes, as well as bosses (and a few other surprises). EDIT- Wasn't getting on your case btw. I'm glad you are enjoying it. Keeps crashing for me once you enter the airship and the four canons fire at once. Strange... I've never seen or even heard of this issue before. additionally I can get it to crash if I get 3 1-Ups on the ship at the part you can only get to with Mario jumping on the canon ball, so I have to get them one at a time making it so I can only get 2 in time. Sounds to me like your sound card/system can't handle to play the same sound 3 or more times at the same time...? A major bug in the executable has been fixed. If you have already downloaded the game before this post, please only download the new executable (6MB) from our booth. Otherwise, you can just download the regular download which now contains the fix. The big cactus level is so annoying. Wow, I admit the game is very impressive, much more than I thought. Though I think the difficulty spike is so sharp it cut meh......deep. okay that's a bad way to express that but hopefully ya get what I mean. also outta curiosity, what happened to the old map theme? The old demo had me just stalling on the maps so I could loop that godawesome (lol) track. The one now isn't bad or anything but it being....genesisy sounds a bit more clashy? I guess I jtst got addicted to the old one? I dunno. Anyway I. Also loved the new midlevel minigames thingies, those were pretty fun. Overall, this game is really really great and GJ to you guys. I've been seeing this game grow since around 2010. And I'm still impressed how much love put into this game and it's far superior compared to my games. Btw, is anyone here running Windows 8? It crashed randomly. The ZIP archive was corrupted, but it went unnoticed. It got replaced by one that works. Well, I'm new here (although a long time visitor to Mario Fan Games Galaxy), and I might as well say my thoughts on this game. Really, I was pleasantly surprised by this demo. The game's levels seemed well designed and without the tedious and overly annoying harsh difficulty present in a lot of other fan games, the physics mostly did whatever I wanted them to without causing Mario to careen in a bottomless pit (I'm extremely happy about how it didn't use the Hello Engine and hence avoided the common bugs associated with it) and it all felt rather professionally designed. The graphics and music were nice too, and despite being mostly original fit the Mario feel perfectly. However, there were some issues. For one thing, I entered a pipe in one of the desert levels while on a Lakitu cloud and Wario just... got stuck there in the entering pose. This meant I had to reset the game. I also had one or two bugs where it brought up an error message, but thankfully it was possible to just ignore it and continue playing since the game didn't crash. There were also a few design decisions I wasn't too keen on. For one thing, the knockback effect probably should have been toned down significantly, since being hit throws Mario back like he was hit by a bus. I'm honestly not sure this whole mechanic is a good idea for a Mario platformer, there's a reason real Mario games just go with mercy invincibility and a flashing effect instead. In addition to this, I think some of the bosses might be more than a little too difficult for how early they are in the game, causing quite a bit of Kirby style boss dissonance. The Tanoomba is one glaring example, it's quite a tough boss for what's arguably the first one you see in the game. Worse still, it fights almost exactly like the Thwomp boss that's present in so many Super Mario World hacks. And really, people hate that boss style due to how tedious the pattern is and how distinctly non Mario the concept feels. The other one is the Fishbone thing in the pyramid level. It's a nice enough boss with a great theme tune (love the Airship Fortress remix), but it's not a good boss for partway through world 2. Considering that both Captain Syrup and Bowser were easier fights than this guy, maybe move him to world 4 or 5 or something. Well, that's all I have to say about the game, the demo was great fun to play and I'll be extremely interested to see what future demos are like. I find it funny that you'd compare the Tanoomba boss to the SMW hack thwomp boss. I mean, that boss falls, spawns a bomb, and you throw the bomb at it. 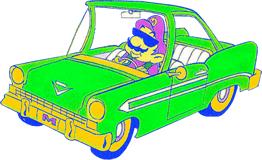 I mean, I'd honestly compare Tanoomba more so to Bowser from SMB3. As for Chummy (thats the bone fish guy), he's rather funny actually because once you notice a few key points about him, he becomes the easiest boss in the game, for example, he only jump when he hits the surface of the water (so if you jump when he hits it, you will never get hit), when he's about to spit bones, just go to the opposite side of the screen and jump after he spits (the bones that reach that far are already going so low that you will always avoid them). Either way, we've made it (and I believe things are like this in future worlds) were you are never really stuck at a Miniboss because theres always an alt path (World 1 being an exception since both paths have a miniboss). Hey, just starting the demo now. I played the demo last year and it was very good. I am looking forward to seeing the new content. I did notice a little typo though so I took a screen shot. Keep up the good work though. It is nice to see a game being developed by a team as talented as yours. The music and gfx are exceptional as well! edit: I don't know if you want any bugs reported here or not, but I did run into a minor one. The fireball you can see in the picture just stopped moving there in front of the wall. Instead of being destroyed it just sat there spinning. In addition to that if I shoot a fireball just a little lower on the slant it will go through the wall instead of being destroyed. edit 2: Here is a minor graphical glitch. In the toads village behind the castle wall I went down one of the pipes on a toads house and my feet poked out the bottom. See below. edit 3: After about 5-10 min of playing the sound started glitching pretty bad... But it just occurred to me that I might be playing the version of the game that was before to gave a new download just recently... I will re-download and see if I am still having some of these problems. edit 4: I am running the updated .exe and as far as I can tell these bugs/glitches are still there. I am not intending to be harsh I am just trying to help. It is so good that I have to be nit picky to find things to fix. Great work! I guess I was trying to type "that" and I messed up... heh. Yeah... Typos are easy to overlook. It happens to me all the time. I wonder if Nintendo Staff members ever take the time to look at fan projects such as this. It has got to feel good to have made a product that people enjoy enough to pour hours into making a tribute such as this to. I think they would be pleased with what they would find here. I am loving what I have played so far!